The unofficial Leeds United site for fans and anyone wanting to get to know a little more about Super Leeds. Follow the links on the left to navigate your way through the site. 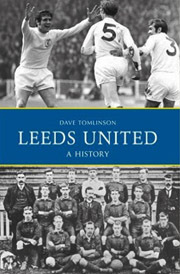 Check out the download section in the White Pages for your favourite Leeds song or video clip, browse through our popular gallery for some special pics or research the match history in our ever growing statistics section and of course probably our most visited page here at WAFLL the news section to catch up on the latest leeds news and gossip. If you love Leeds United then you'll love WAFLL!